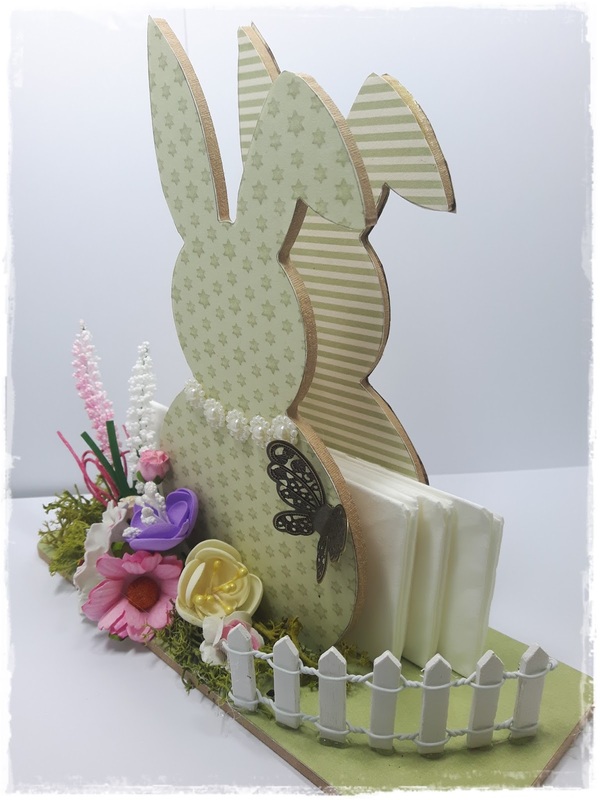 Crafteezee Shop: Dutch Doobadoo MDF Bunny Napkin holder. Flowers. It would be lovely if you popped over to see the DT's gorgeous creations and enter our challenge. 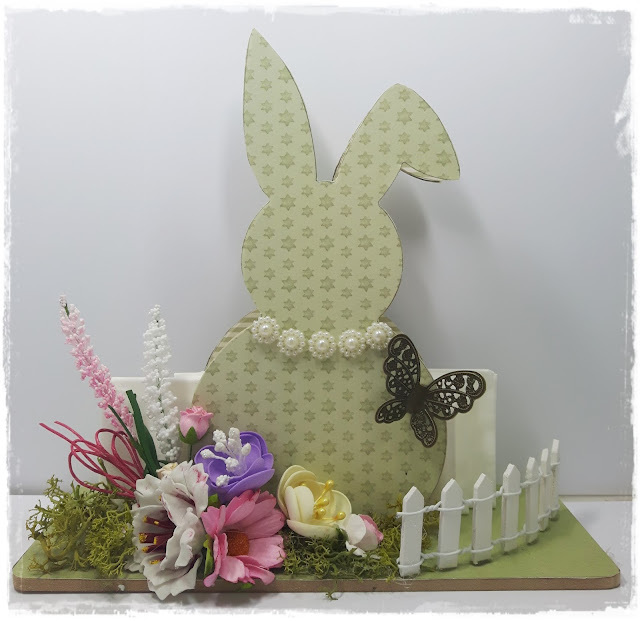 For today's project I created a spring scene using the MDF Bunny napkin holder. I covered the Bunny with papers from Pion Designs Theodore and Bella collection and this particular paper is called Sweet Dreams. 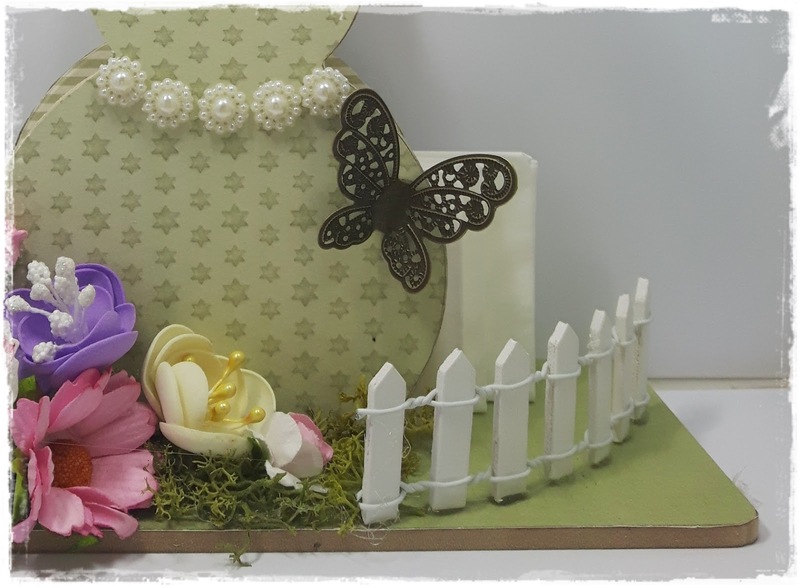 I added the bronze butterfly, Sunflower pearl trim and the cute wooden fence. The purple and ivory flowers at the top of the display have been made with Foamiran and a die from Rosy Owl. Also amongst the display is a pink Chrysanthemum, Blossom in pink and white, Hyacinth and a pretty florals pink and white flower.